The Portfolio Committee on Communications has allocated three weeks to complete the process of filling vacancies at the board of the South African Broadcasting Corporation (SABC). It is scheduled to adopt and table its final report in the National Assembly on 13 March 2019. The eight vacancies were advertised on the 11th and closed on 21 December 2018. The advertisement was then extended to 31 December 2018. The committee resolved that the 80 nominations received during the previous Board shortlisting and interview process in October 2018 should also be considered. In December alone, the committee received 323 nominations. On Tuesday, 26 February 2019, the committee will shortlist 24 candidates and publish their names together with abridged CVs on Parliament’s website for public comment. Interviews will then be conducted from 5 to 7 March 2019. The Chairperson of the committee, Professor Hlengiwe Mkhize, said all candidates will be subjected to verification of qualifications, security clearance and public scrutiny. 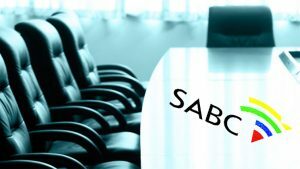 Earlier, lawyers for non profit organisation, Media Monitoring Africa and Support Public Broadcasting Coalition – SOS, have given the National Assembly and the Presidency until 5PM on Friday afternoon to give a timetable on when the SABC Board selection and appointment process will be completed. The post SABC board vacancies to be filled in March appeared first on SABC News – Breaking news, special reports, world, business, sport coverage of all South African current events. Africa's news leader..